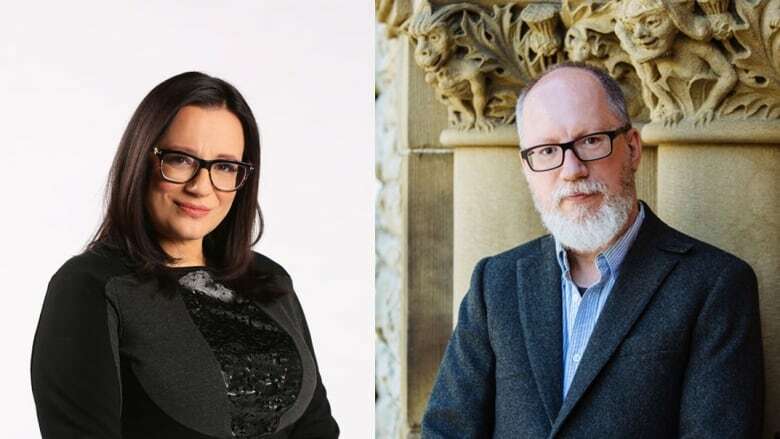 Cherie Dimaline, author of The Marrow Thieves, and David Demchuk, author of The Bone Mother, will each receive $1,000 for winning their categories. Cherie Dimaline's The Marrow Thieves and David Demchuk's The Bone Mother have respectively won the young adult and adult fiction categories of the 2018 Sunburst Awards for Excellence in Canadian Literature of the Fantastic. The annual fantasy prize comes with $1,000 for each of the young adult and adult fiction winners. A jury comprised of Megan Crewe, Kate Heartfield, Dominik Parisien, Halli Villegas and Heather Wood determined the result. Dimaline's dystopian novel is already well-decorated, having previously received the Governor General's Literary Award for young people's literature — text and Kirkus Prize for young readers' literature. The book follows an Indigenous teen named Frenchie and his found family, as they dodge residential school recruiters in a climate change-ravaged future North America. "Dimaline's novel reminds us of the power of storytelling and the importance of community, reinforced for the disenfranchised children by the wisdom of the heroic elder, Miigwans," said the jury in a press release. "The writing is painful yet beautiful, bleak but ultimately hopeful. In this era of reconciliation, Cherie Dimaline's The Marrow Thieves is a work of speculative fiction that resonates and stays with the reader long past the last page." Demchuk's debut book The Bone Mother, a collection of connected short horror stories, was longlisted for the 2017 Scotiabank Giller Prize. Set on the Ukrainian/Romanian border, the book tells the story of the last mythical creatures of eastern Europe and the upcoming war that foretells their doom. "The stories explore the boundaries of compassion and warn of the dangers of forgetting. As unsettling as the stories are, they lead the reader deeper into the woods like breadcrumbs," said the jury in a press release. "The language is beautiful and the characters as haunting as the archival photographs that illustrate the book. The Bone Mother is a unique achievement." The $500 short story award was given to Sandra Kasturi for The Beautiful Gears of Dying. Jurors Candas Jane Dorsey, Emily Pohl-Weary and Alexandra Renwick praised Kasturi for her "linguistically complex, economical and emotionally intense, and yet accessible" story.